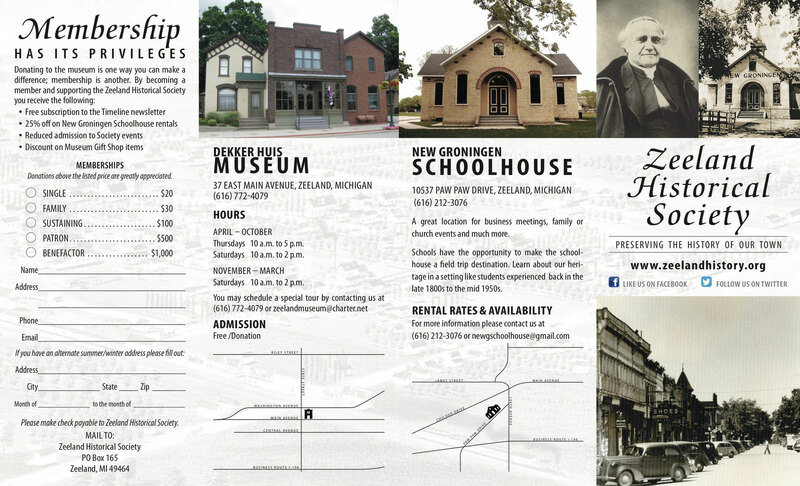 The Zeeland Historical Society has designed a new brochure with a self-guided map. The brochure is a typical four-fold with the outside looking pretty much the way it used to look. 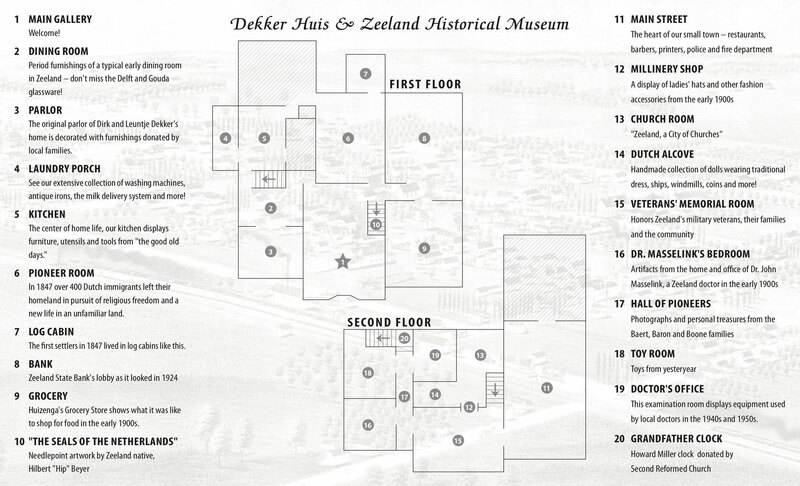 The inside has changed significantly and we're hoping you will stop by and help us test the tour route!